Bell is a simple sound-making device. Its form is usually a hollow, cup-shaped object, which resonates upon being struck by a tongue suspended within the bell, known as a clapper or hammer. 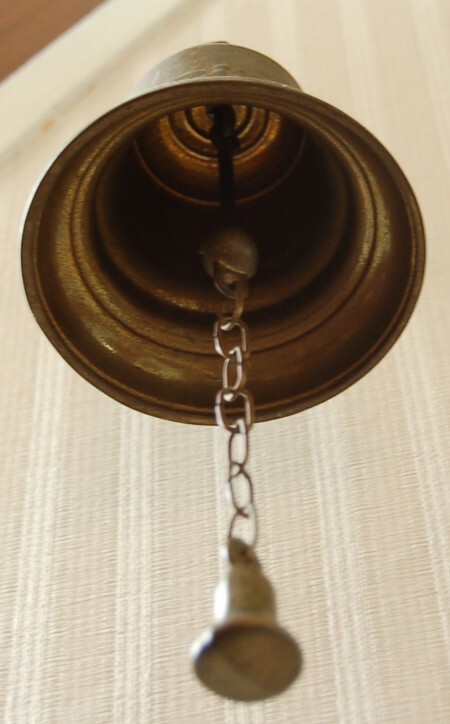 Bells are usually made of cast metal. Bells can be of all sizes: from tiny dress accessories to church bells weighing many tons.